Different views of three bullets. In this case, copper-jacketed lead with hollow-point tip. An 8 gauge, un-jacketed, lead bullet. 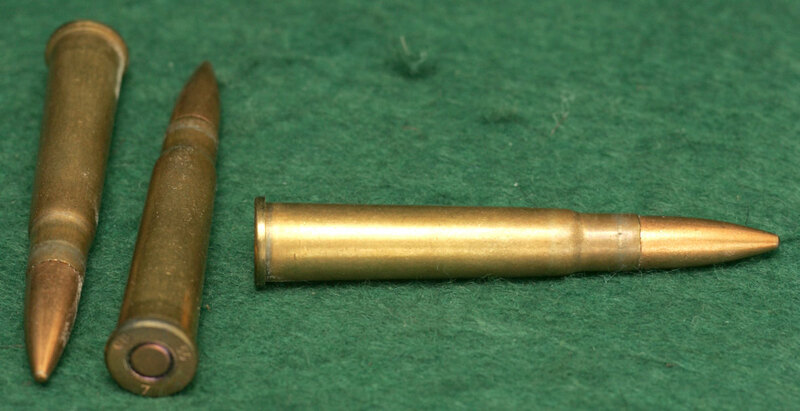 Bullet - A single cylindroid projectile (rather than a ball) fired from rifle or handgun; normally made primarily of lead, often jaacketed with other materials to control expansion upon impact; either loaded from the muzzle or loaded into a cartridge which in turn is loaded into the breech of a firearm. Expanding - soft at the tip and stout at the base, designed to expand upon contact with game and to make a larger-diameter wound channel than the original calibre would provide. Such bullets must be engineered to expand enough to achieve their purpose, but not to expand too much to the point of disintegration, at the terminal velocity at which they are likely to be used. Solid - either made of some kind of monolithic material tougher than lead, or of lead fully-jacketed with some harder material such as copper or steel. Designed not to expand when contacting game; rather to hold together and penetrate deeply to reach vital areas, particularly for thick-skinned, dangerous game. 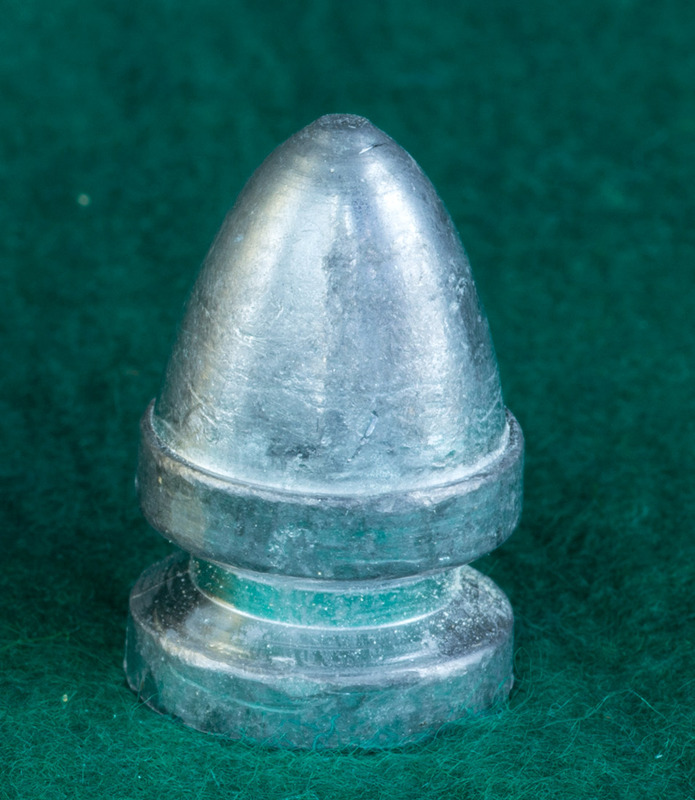 Flat-nosed - Used in lever-action rifles with tubular magazines. Avoids the perilous situation of having a chain of sharp-pointed bullets resting directly on the primers ahead of them---which, under recoil, could detonate the contents of the magazine.